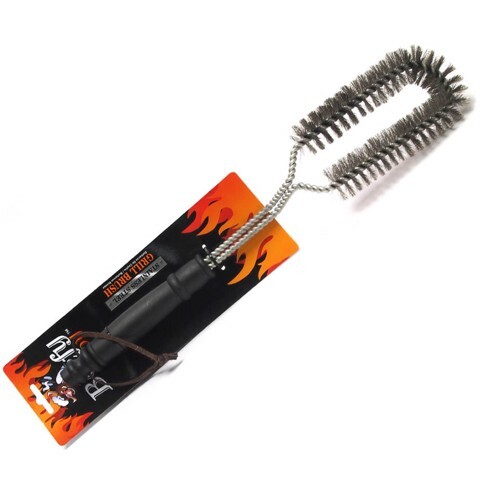 Bbq Grill Brush. 40.5 x 6cm. Black Handle Stainless with Steel bristles. Stainless Steel | PP. 184G Packaging: Backing Card.